I went on a jeans mission yesterday.....obviously I got sidetracked a bit! I found myself in Zara who have some fab pieces with that 70's flavour! Now first up is the item I am completely kicking myself for not buying......why the hell did I leave behind?! Will I never learn? Here's me donning it in the fitting room....I would style this with a cream cami, flares and a wooden-heeled platform sandals with oodles of gold chains! For me it has a touch of Missoni about it! I will be going back for it! 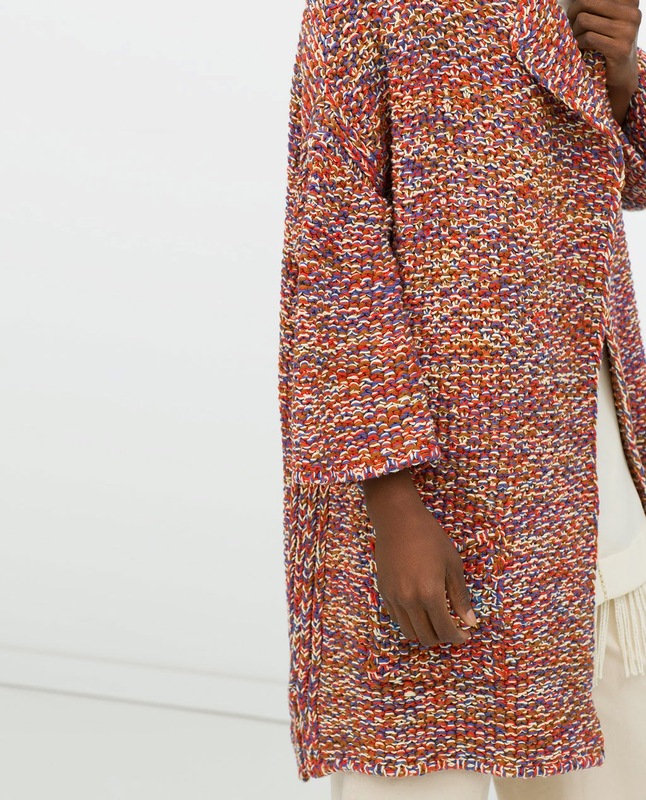 I found this cardigan online and I think this is pretty spectacular too, a whiff of Joseph's technicolour dream coat but gorgeous all the same! I also took this little number into the fitting room and loved....it would look so cool with a baby kick flare and a flat leather thong sandal! Also talking myself into this one as I type! I didn't spy this one instore, I have a feeling the shape of it may not translate so well on a hanger and that I somehow missed it! But I love this colour combo and I feel an order coming on for this one.....be afraid credit card....very afraid! And another! 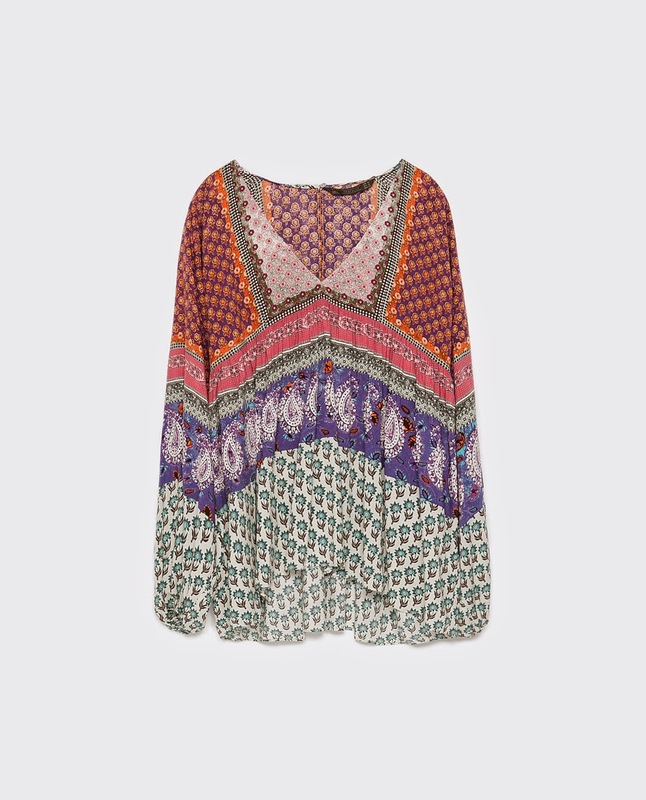 I just love the embroidery on this one, how many boho tops can I justify to the husband though?! Completely off on a tangent now as when I whizzed past House of Fraser on the way back to my car I spotted this Mango bag in the window! Wouldn't it finish of my look of the first cardy and flares perfectly?! That reminded me of this little beauty I found on the Jigsaw website the other day that I feel compelled to share! 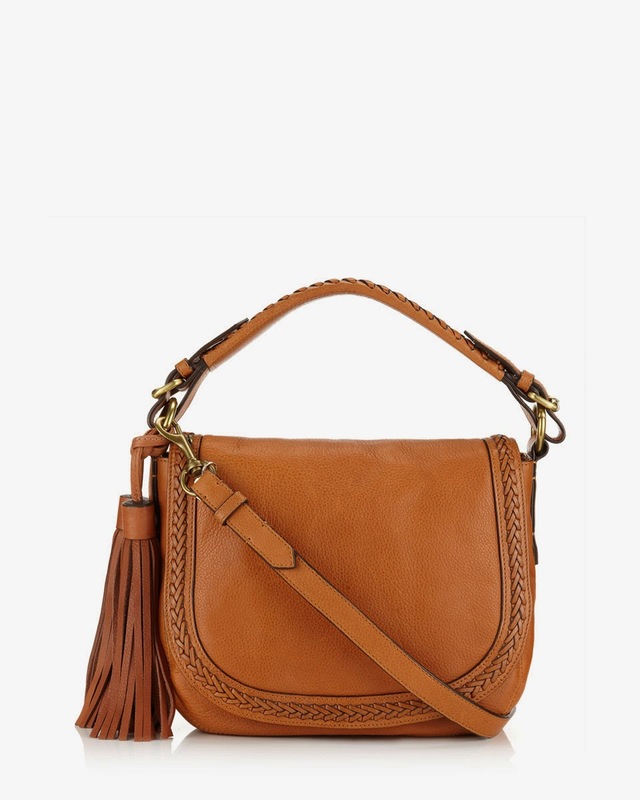 This has a whiff of that 70's favourite.....the saddle bag! I'm always a sucker for a tassel too! Right, as you may recall the reason for my sprint into town was to try on jeans. Specifically the River Island Alice flares I wrote about in my last post. Typically they do not seem to have hit my local store yet but they did have another flare called Brooke, which I gave a go. They were good. Excellent fit (size 10 was tried), the length would be perfect with a mid-heeled boot or shoe and they held everything in perfectly, just enough give to be super comfy. At £42 I thought they would be a good buy for anyone looking to find a good pair of flares. These are very similar to my Zara ones so no purchase was made. Now is the time to fess up to what I did purchase on my travels. I have been on the hunt for a pair of ripped blue skinnies for a while, I came across these from Topshop but read the reviews which put me off as a few of the comments mentioned the knees had gone very quickly and that they had a tendency to bag. Anyway, the lovely Annmarie tried them on here on her blog and the fit looked fab on her and I noticed the reviews were a bit more mixed by then. So off I took myself to Topshop to try them. I loved the distressing and the fit was excellent but the reviews were taunting me as the jeans were very tight on the legs and knew the knees would go sooner rather than later so I left them behind. However, after perusing one of my favourite places for inspiration, Avenue 57 on Facebook (join in the fun by following this link), I came across these Zara jeans on the lovely Olive (thanks to Olive for letting me use her photo). I had the feeling these would fit my ripped jeans yearning perfectly. So onto my outfits from the last couple of days where I have been very bundled up to combat the cold, so apart from coats jeans and shoes there isn't much to see! Come on Spring....hurry up! There have been many layers on underneath my coats these past few days, my Damart fur gilet has been my saviour whilst the temps have hovered around freezing! Thankfully the forecast says we can expect things to nudge up a few degrees in time for the weekend! Bring it on! Anyway back to the order of the day....anyone else ready for the 70's revival yet? 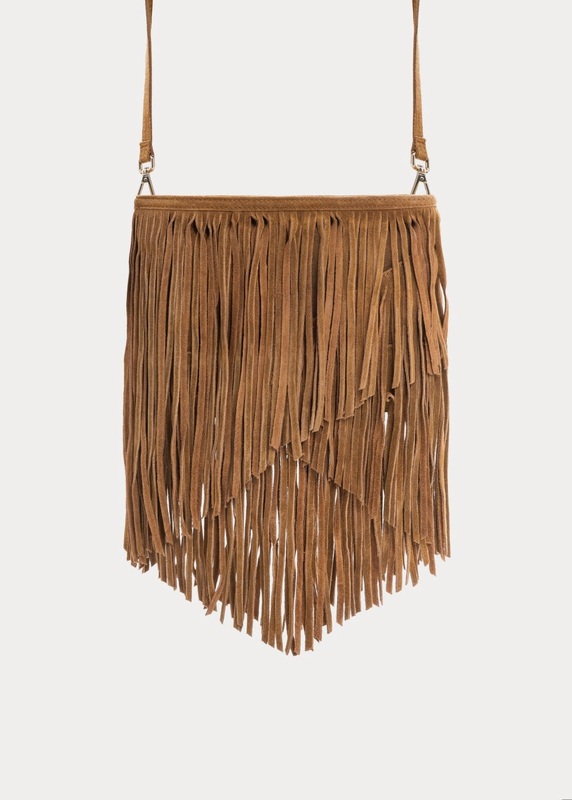 Have you got your eye on any of the other 70's lead trends? Ooh lots of gorgeous temptations Michelle, funnily enough that first Zara top has recently found it's way into my wardrobe & I love it!! Not fair! I ordered and returned the Zara printed top because it barely covered my belly button!! It looks fab on you, and I love that first cardi, too. Glad to hear you're going back for it :-) I also have a hankering for distressed denim, so I butchered a pair of old jeans just to see how I feel in them - you know it won't end there though, don't you?! As soon as half term is over I'll be out on the hunt for a proper pair. Looks like I'll need a trip to Zara! Some nice picks there Michelle. I was in Zara as well yesterday having a little try on but of totally different things - at least we won't be in the same things though I did see the technicolour cardigan which is lovely but is so long, I just wouldn't stand a chance in it. I would look like I was doing the school play in it. And that Alicia Jigsaw bag ... ooh lovely! You should get the Zara jacket it looks great and yes has a Missoni vibe to it also really like the Zara peasant top. After my stupidity over the Hudson/Oxfam jeans fiasco i will check out the RI flares, I have a couple of pairs fromRI and have been very happy with them, the Zara distressed jeans look great on you. There's no doubt that you *need* that first cardi in your wardrobe. I'm also very bad at putting something back on the rail and then start getting irrationally obsessed by said item. I am embracing the 70's trend but then you wouldn't expect me to be doing anything else. When I eventually get my hands on the Mac book I'll finish a post I started yonks ago. 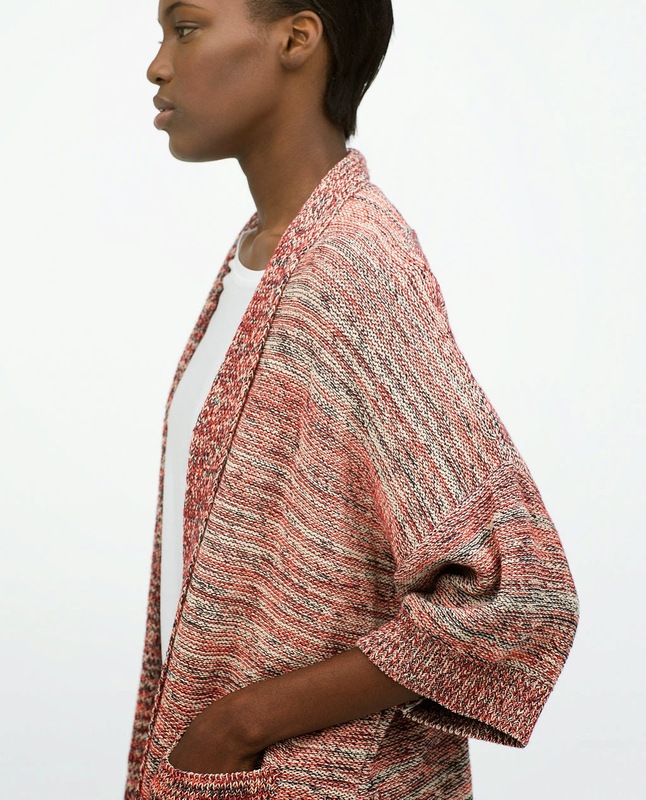 The cardy is now a done deal...there is no doubt I *need* it in my life! In my defence I had done a lot of online ordering at the end of last week and was feeling a tad guilty so apart from the jeans I put everything back! Now I see the error of my ways....good job that all the online purchases are all going back! I think this boho chic look is going to be really big this year, the zara printed top and flared jeans look great.That whistles bag has just gone on my wish list! Two things! FIrstly ... go back and get that cardi & that saddle bag! You need them in your wardrobe. And secondly thank you for the RI jeans tip off .. first pair of kick flares that have really appealed to me! Brooke flares arrived today and I love them!